Amgen has announced the US launch of Enbrel Mini single-dose prefilled cartridge with AutoTouch reusable autoinjector tp provide additional administration option for Enbrel (Etanercept) users. In September, the new delivery system secured approval from the US Food and Drug Administration in September this year. 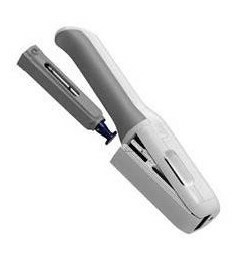 The AutoTouch reusable autoinjector features an ergonomic handle, sensor to detect placement on skin, speed switch with three injection speeds, progress bar and speaker. The reusable autoinjector is designed to use with Enbrel Mini single-dose prefilled cartridges (50 mg/mL), which utilize a new drug formulation of Enbrel that was linked with lower mean injection site pain than the current formulation. Enbrel is an injectable biologic that secured approval to treat several chronic conditions, including moderate-to-severe rheumatoid arthritis (RA), moderate-to-severe polyarticular juvenile idiopathic arthritis (JIA), psoriatic arthritis (PsA), ankylosing spondylitis (AS) and moderate-to-severe plaque psoriasis (PsO) in patients four years or older. A phase 3b multicenter, randomized, double-blind and crossover study has been carried out to evaluate the injection site pain linked with a modified etanercept formulation in adult patients with either moderate-to-severe RA or PsA. The adverse events were similar to those observed in previous studies in adults with moderate-to-severe RA and PsA, in addition to showing a significant reduction in injection site pain. Amgen research and development executive vice president Dr Sean Harper said: "As a leader in the inflammation space, we continually strive to innovate to address real needs among the patients we serve. “The first step in this is talking and listening to the community, both patients and healthcare professionals, to fully understand the challenges they are facing. Image: Enbrel Mini single-dose prefilled cartridge with AutoTouch reusable autoinjector. Photo: courtesy of Amgen Inc.